At 1,000 years old, AWOL One is still shaking the grounds of hip hop. Bursting on the scene from Planet Zero, California, Awolrus's style has taken him through the murky waters of hip hop. In 1988, AWOL took off on his b-boy journeys influenced by KDAY and breakdance music. Soon after, vinyl became no stranger and the art of DJing lived in his knuckles. 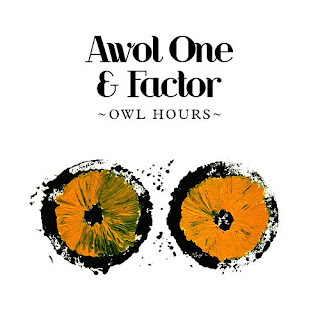 AWOL found himself DJing in underground parties and eventually moved up to night clubs. Then in 1995, he opened for Roger and ZAPP on the "Lowrider Magazine" American Tour for Thump Records. Another aspect of AWOL's art is graffiti - and even with unjust laws striking him in 1991, he still paints and does graphic design. A world that was thought to protect sometimes left AWOL in the cold. But taking control of his melodic rap style patterns have drawn him into the ears of audiences worldwide. Scores of West Coast producers have shown interest in the quiet aura of this emcee. Out of the light, he has intertwined with DJ/producers Daddy Kev, Fat Jack, J.D., DJ Choc (Beat Junkies/power 106), Lighter Shade Of Brown, DJ Drez, Hive, OmiD, Jizzm, Mike Nardone (KXLU), Mums The Word, DJ Moves (Len), Truly ODd of Power 106's Friday Night Flavas, and Evidence of Dilated Peoples,Tobesko just to name a few.